Thank heaven for small favours. Sure. Everybody knows we have rather cold winters here. Also, every spring we get more or less water to deal with. Flooding is part of life on the plains here. We should not forget that 9000 years ago all this beautiful land was a sea bed, not plains with grass and crops. So what about these small favours? 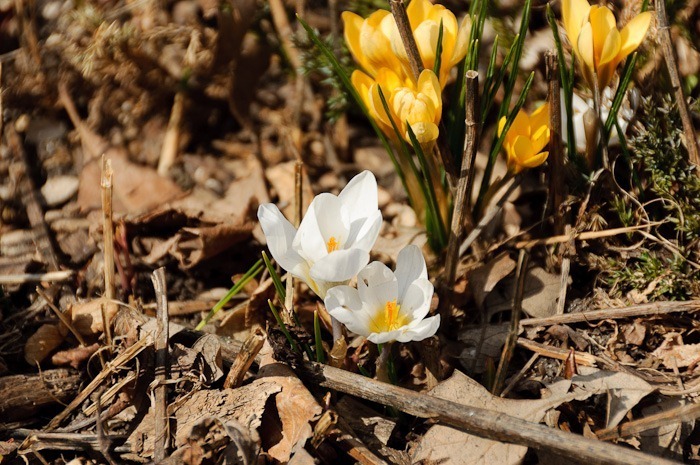 Well, after a cold winter we get small signs of spring. Today for example it was a nice +18C. If we have this kind of temp in Holland, everybody tells you to dress up, here we nearly go out in t-shirts and shorts. 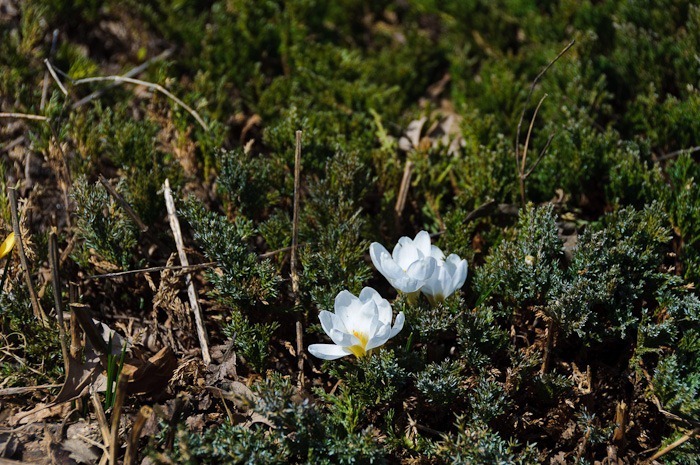 Small signs of spring are the butterflies, and the flowers. Small touches of colour in a fairly colourless world. 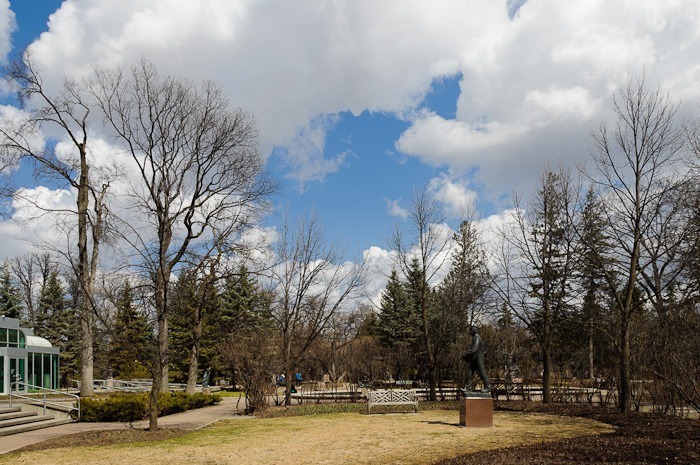 The English Garden in the Assiniboine Park doesn’t show much yet, but many small flowers and plants are already poking their leaves through last year’s leaves. Sometimes you have to look hard to find something small. Happily there is nothing wrong with my sense of observation as far as a camera is concerned. Don’t ask me about people, I never remark anything. But not only the flowers are starting to show, also hibernating animals have come back to active duty. Duty for modelling, that is. 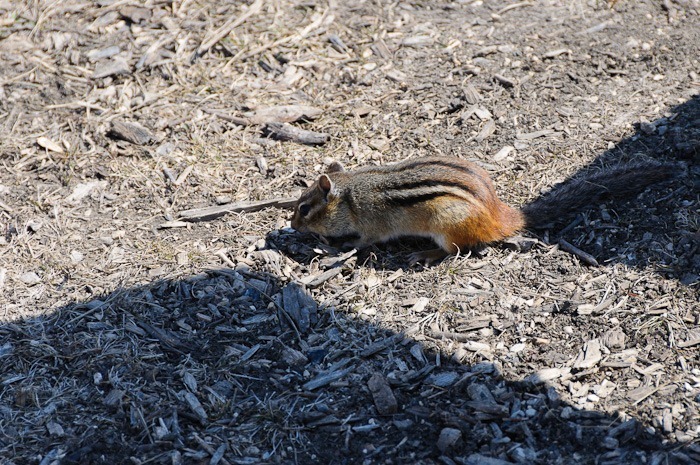 This little girl just kept on scurrying around to find something to eat until someone on a bicycle came along. I guess that was her call to go back to safety. I think this is a female, I cannot imagine a male out of bed so soon, he would have preferred a served breakfast , not go out and get his own. Pigeons are also back, usually they don’t like cold weather and prefer to move. 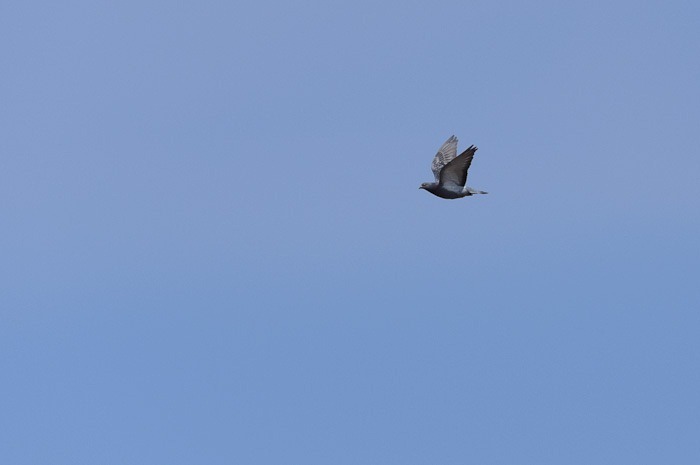 I don’t know if they are migratory birds or are just hiding from the cold in winter here, but now they are back. While papa goose here keeps a very close eye on me, I think he is already planning the attack on the 200 pound photographer. Talk about self esteem! The reason why this male was so menacing to me was his wife. 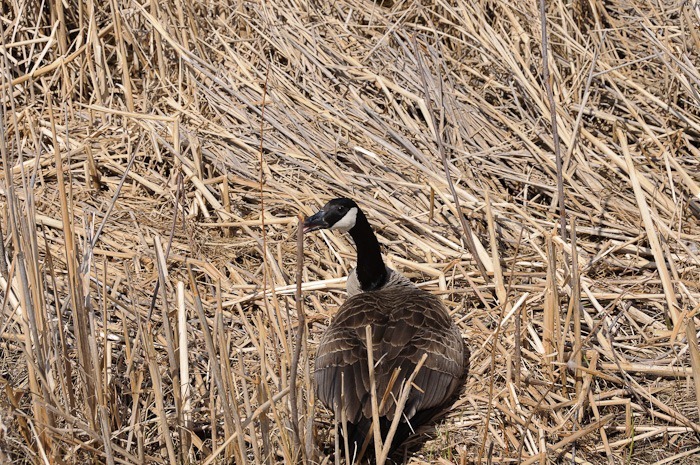 Mama goose was nesting just near the side of the path I was walking on. Not much else I could do than pass. She was hissing at me and by the looks on her face I could tell this was not a love song she was hissing. Geese are known to attack while they are nesting. Not that the 200 pound photographer minds very much, but there is no reason to upset these announcers of warmer climes here. 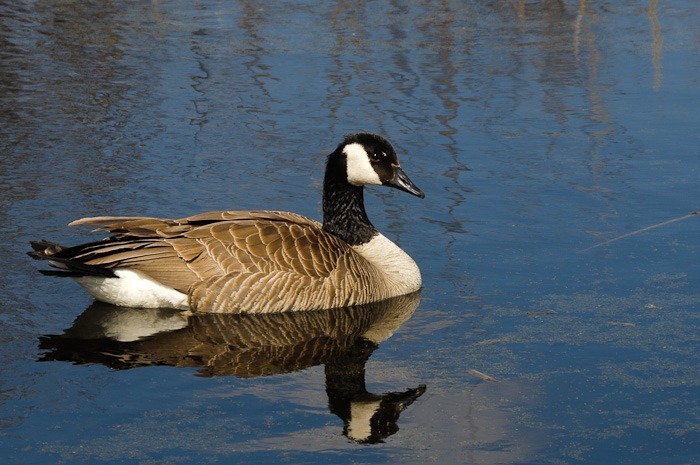 Canada Geese only come back to Canada when they know the coldest weather is over. 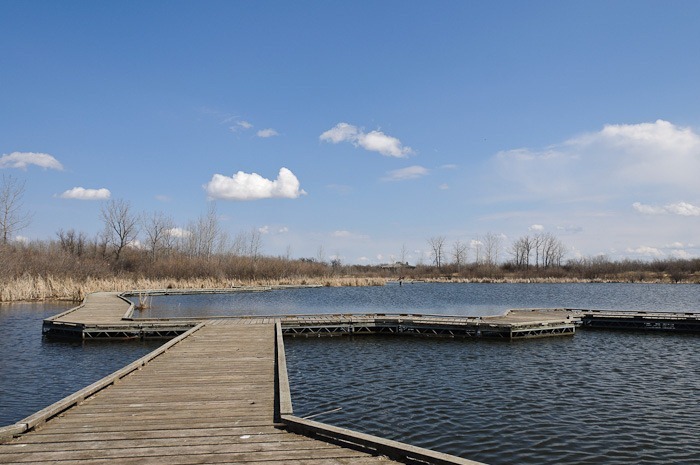 The boardwalks in Fort Whyte Alive in Winnipeg are still very silent. The water is still cold, not many birds like it yet. The geese are there, but many of the other birds still have to arrive. As you can see, the grass is not green yet. 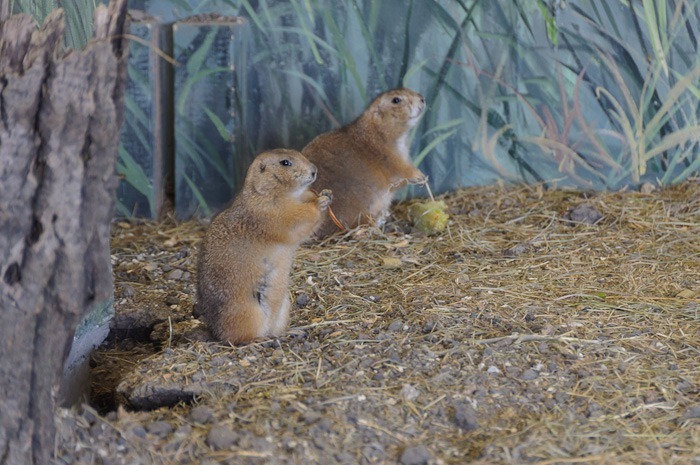 The groundhogs at Fort Whyte on the other and have a nice little life, even in winter. They live inside and are fed every day. Last time I posted some butterflies called Compton Tortoiseshell, supposedly the first of the year. Well, they may have been the first, but they didn’t stay alone for long. 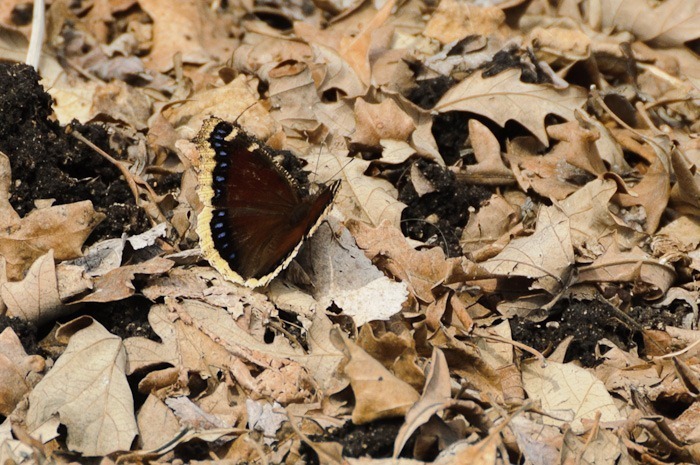 This Mourning Cloak was nearly invisible among the leaves, until it moved. The picture is cropped, but full of details anyway. Some of you, readers, will tell me that this is in your garden every day of the year, whenever you want to look at it. 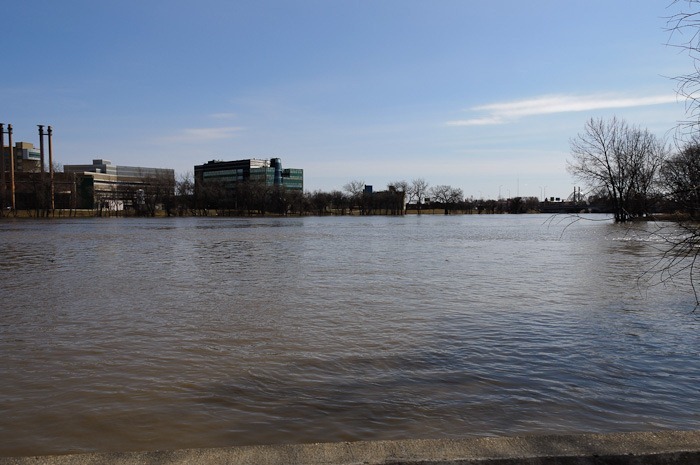 Here in Winnipeg we notice Mother Nature’s Small Favours immediately, they have been absent for nearly six months. Small Favours? Perhaps, but colourful and great for a picture.